From 29 November, an exhibition on The Age of Standards will be held in the TU Delft Conference Centre. Based on the academic heritage of TU Delft, the exhibition will address the confusing world behind the daily use of standards. The impetus for this exhibition is the forthcoming redefinition of the kilogram, which will change for the first time in 130 years. The exhibition has been put together by TU Delft Library in collaboration with the Van Swinden Laboratory and researchers from various faculties. 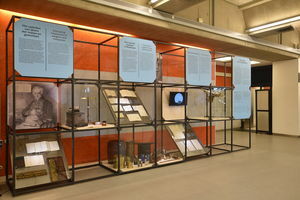 The exhibition looks back on the invention and introduction of the metric system and the training of specialists in standardisation at Delft Royal Academy and Polytechnic School – the predecessors of TU Delft. On display is an iron metre dating back to 1798: the personal copy of a representative of the Batavian Republic at the international congress in Paris at which the metric system was established. Particularly interesting is the Borda repeating circle: the same measuring instrument was used to determine the metre, and this is explained further in an animation. The exhibition also looks ahead to the future redefinition of the kilogram based on a physical constant, the economic importance of standards in general, and the relationship of standards to the human scale. The stories show the hidden and sometimes confusing world of standards, and show that they are not by definition ‘natural’ or ‘universal’, but are just as much characterised by tradition, strategic interests and political disputes. These days, the use of standards is a matter of course. However, it has not always been this way. Before 1820, almost every Dutch region had its own system of weights and measures. Mostly, these were based on local customs and standards. In the eighteenth century, there was a growing need for standardisation of units of measurement, both in commerce and in scientific and technical circles. In 1799, the metric system was finalised in France, and it was introduced in the Netherlands on 1 January 1820. The standards have undergone much-needed change throughout the last two centuries. Almost all standards in the International System of Units (SI units) have now been redefined on the basis of physical constants rather than physical prototypes. 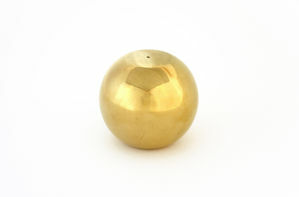 The kilogram is the last unit of measure to be given a complete makeover. It has been widely discussed in various media: the definition of the kilo is set to change. The unit is currently still based on a physical prototype from 1889 that is kept in a vault in Paris. To mark the exhibition, TU Delft Library will be hosting a symposium on 24 January 2019. On the same day, a smaller exhibition will also be opened at the Library on standards and building materials, put together by students of the Faculty of Architecture and the Built Environment. For further information, keep an eye on the Library’s website: library.tudelft.nl. Since 2017, when TU Delft celebrated its 175th anniversary, the university has been investing in raising the profile of its academic heritage by improving the preservation of its collections, initiating research projects and organising on-campus presentations in collaboration with students and academic staff. The exhibition can be viewed from 29 November 2018 to 1 March 2019. Address: TU Delft Conference Centre, Mekelweg 5, 2628 CC, Delft. The exhibition can be visited free of charge from Monday to Friday from 8 a.m. to 10 p.m. in the foyer on the first floor. During large-scale events, the exhibition may be cordoned off. For further information and/or requests for a guided tour, please contact the Academic Heritage Team of TU Delft Library: heritage@tudelft.nl.